Today we were again digging in Baltimore. The team consisted of Doug, Alan, John, and myself. After the weekends crappy deep brickliner we decided to focus on wood lined features today. We found a pair of 1860s looking houses that we had dug pits in this row before and knew these houses had double barrel lined pits and produced some decent finds. 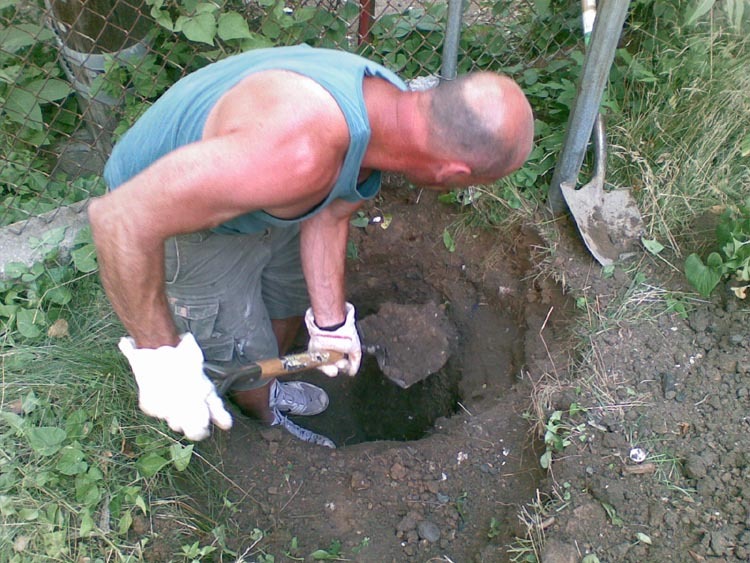 I quickly probed out a pit in the first yard and John started opening it up. 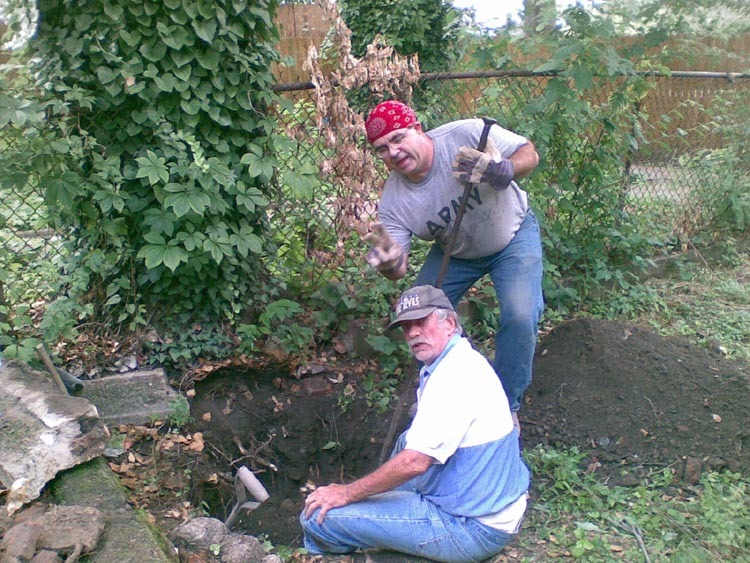 Then p probed out a pit in the second yard and Doug and Alan started working on this one. While I went to help John. Our pit had about two foot of packed clay in the top but quickly gave way to soft ash. It was easy digging we quickly got down 6 feet and had about a foot of 1880s trash on the bottom. We recovered 3 rare Baltimore blob beers and that was about it. Not a bad hole and easy digging. Doug and Alan on the other hand had a pit full of bricks and debris. I was amazed that I got the probe right in as easily as I did. John and I were finished and filled in by time Doug and Alan were 4 feet into their pit. At that level the hit a nice loamy layer of 1880s artifacts including several Baltimore pharmacy bottles and a whiskey from a hotel in Towson Maryland. then this gave way to a small clay layer and under that was about 6 inches of 1860s trash. sadly most of it was broken and the only intact bottles were a couple early Mrs. Winslows and a pontiled genuine essence. Not a bad day we were finished in about 4 hours with both pits and everyone called it an early day.